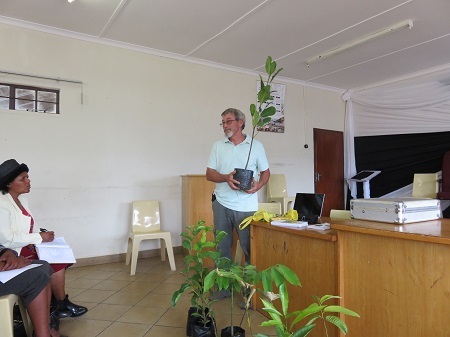 Roy and Zweli were able to squeeze one last presentation to a group of representatives from 21 local nursery schools. They learned about how to plant, protect, and care for fruit tree seedlings and veggie gardens. They learned about God’s plan for us all to be healthy and learned how much God loves us. 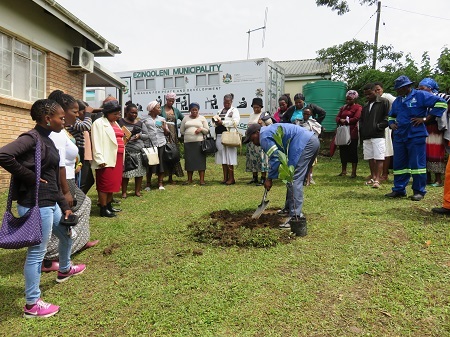 In the coming weeks Zweli and the other two farm workers will go out to each school represented and plant trees. The teachers and kids are excited about having their own fruit trees to take care of and someday enjoy the fruit of.